Kabobs’ Chocolate Hazelnut & Raspberry Mini Turnovers provide a much needed enhancement to breakfast, mid-morning breaks, and desserts. Our chefs have paired the rich flavors of milk chocolate and hazelnut, accented with a raspberry puree, wrapped in a pastry turnover. 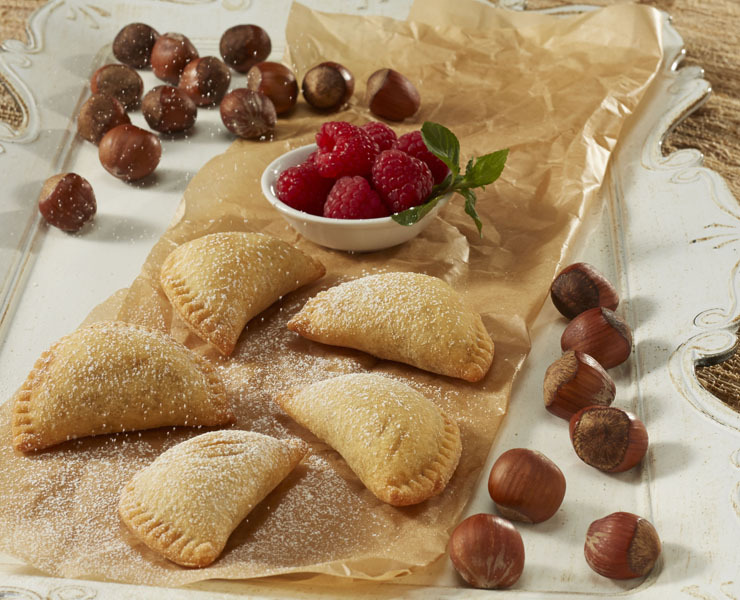 Versatile in preparation, bake or fry, these mini turnovers are great as-is, or can be accompanied with a variety of enhances. From frozen deep fry at 350 ºF for 3 - 5 minutes or until golden brown. Or, from frozen bake in a Pre-Heated 350 ºF Convection Oven for 6 - 8 minutes or until golden brown.